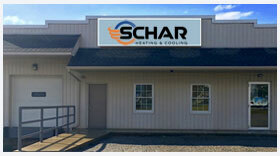 Schar Heating & Cooling, Inc. is proud to serve the Medina community! About Medina, OH - Happy to be your hometown Heating & Air Conditioning Contractor! Medina, Ohio is a historic city that dates back to 1818, and it was originally part of the Connecticut Western Reserve. Located about 23 miles west of Akron and 32 miles south of Cleveland, Medina is primarily a residential community, with citizens commuting into those bigger municipalities for work. Served by the Medina City School District, the city is home to one high school, seven elementary schools, and two middle schools. The city and the rest of Medina County are home to a variety of great things to see and do. Families have many opportunities to have some fun together at Rinky Dink Family Fun Center, High Voltage Karting, and Sandbaggers Golf & Game Center. The Medina Toy & Train Museum is a popular destination for toy train enthusiasts, and outdoor recreation is available at Austin Badger Park or Roscoe Ewing Park. Further, there are many specialty shops available here, including Root Candles, Vintage Peddler, and the Medina Antique Mall. Residents in Medina understand just how important it is to have the right climate control systems in place. Weather conditions here are unpredictable and varied. Winters are cold and snowy, with most seasons bringing an average of 48 inches. Locals need to be prepared for whatever conditions Mother Nature has in store, and a reliable gas or electric furnace is a great way to do just that. Summer months in the Medina region tend to be hot and humid, and daily highs average into the mid-80s. Most residents invest in a central air conditioning system, but the benefits extend much further than just cooling off indoors. Energy Star units will reduce your carbon footprint and can also ensure that your utility bills stay affordable. Also, the right system can also improve indoor air quality by filtering out allergens, dust, and viruses.